Up, Down, and Up Again: The club’s first match of 2014 saw the Owls get out to a 3-0 lead on Racine United after 63 minutes [a result of Maria Stephans’ (UW-Milwaukee/Hartford) hat trick, the first in club history] only to relinquish that margin over the next 20 minutes. Brandi Peltier’s game-winner in the 90th minute restored order and gave MUSC their first win of the season to kick off the club’s three-match home stand on the right foot (or in this case, the left, as all four MUSC tallies were scored left-footed). Fast and Furious: The Owls’ most complete performance came against RUSH Wisconsin where they took a 3-0 lead inside the first half-hour, opening the scoring just 40 seconds into the match. Paige Birschbach (Ripon College/Campbellsport) scored twice and Brandi Peltier chipped in two goals and two assists to finish out a perfect home slate for MUSC in a match where they never trailed. Heart and Soul: The most “Milwaukee United” performance of the season came in the team’s final match against Croatian Eagles U23s, where the heat and a short roster could have decimated a less-spirited team. A hat trick from Brandi Peltier (assisted on all three goals by Maria Stephans) helped the Owls secure a 3-3 draw and finish off the campaign on a high note. Transition: This past year has been one of transition from the solo operation of the past few years to a club where players have greater responsibility on and off-the-field and where the board of directors is actively engaged in providing behind-the-scenes support. We were able to expand our player pool and roster without losing sight of our underlying mission. We may not have succeeded in every venture we attempted, but the positives outweighed the negatives and we are set up to sprad our wings further in 2015. 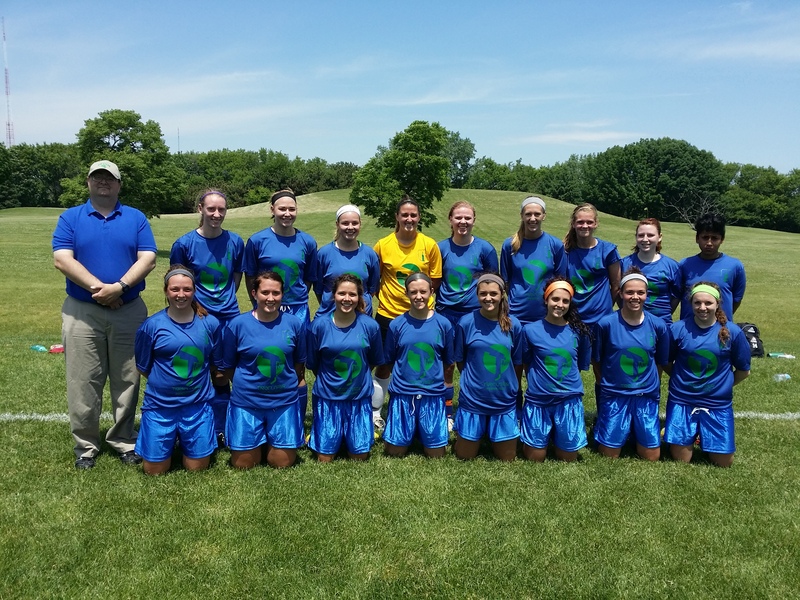 On-field play: After a 2013 season where our style of play resembled that of a first-year team that hadn’t played together before, the 2014 season saw the ladies improve in controlling matches, scoring goals, and dictating the tempo against its opponents. There were fits and starts along the way in striving to play a possession-oriented game and we didn’t always keep it clean at the back while doing so. The last match of the season (against Croatian Eagles U23), in my opinion, best represented “who we are” and the MUSC style of play: fierce doggedness of purpose; complete team commitment on both offense and defense; and aggressive play-making that can keep an opponent on its heels all match. We might want to play like the Seattle Reign or the Portland Thorns, but in actuality are much more like FC Kansas City. Preparations for the 2015 season will begin in a couple of weeks as scouting of college players gets underway. Members of the club’s front office can be found at local matches throughout the week over the course of the college season, starting with an August 12th exhibition between UW-Milwaukee and Drake at Engelmann Stadium.